If you are a yogi, you will love this design as it is serene, calm and has all things yoga; the lotus pose with prayer hands, om background and the Namaste for the personalization in a beautiful Sanskrit font. This design is customizable. We chose to use the om background with two shades of pink. We have other yoga backgrounds that you can choose from. We chose the large graphic and text style, where the graphic is of a beautiful woman sitting in lotus pose with prayer hands in pink and dark grey. We have many different yoga graphics that you can choose from including the tree pose and meditation pose. We chose to use the word Namaste in the Sanskrit font. You can choose the personalization, the font and the colors. Our personalized comfort mats are optimal for areas where you might be standing for a long time. Not only will they add panache to any room, but they are truly comfortable. Imagine having to wash dishes or fold clothes after a long days work. Sink your feet on the mat in front of the sink or in the laundry room and give your feet a soft and comfy retreat!! The mats are soft and absorbent and you can use them in any room of your home. 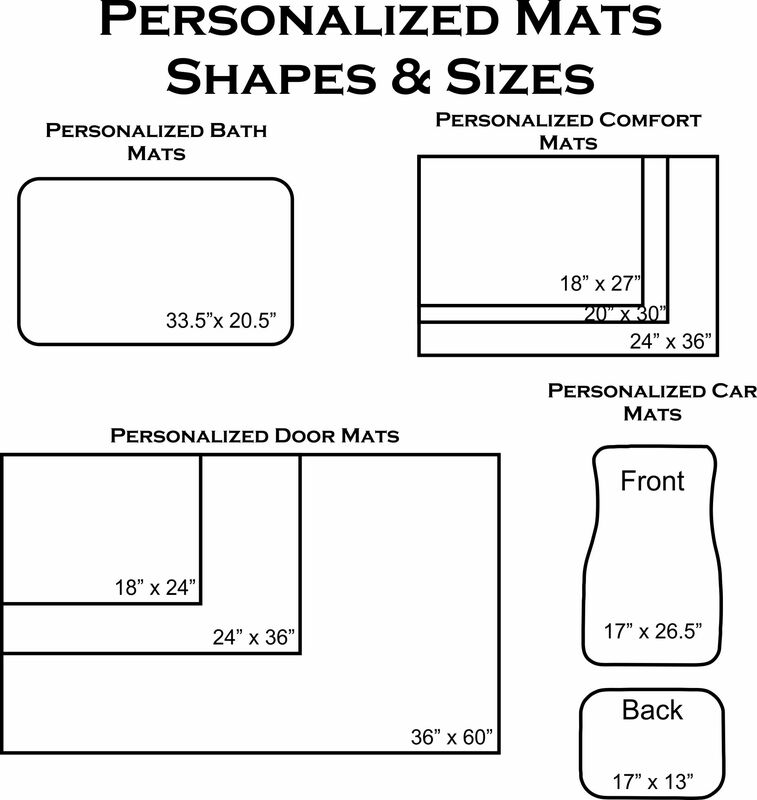 If you are looking for a different kind of mat check out our personalized bath mats and personalized door mats.